I strongly recommend Wayne's classes and books. Although I have used LinkedIn for years, I have not fully utilized it's true capabilities. I found Wayne's LinkedIn Power Formula Training for Beginners to be an eyeopener and inspiring. 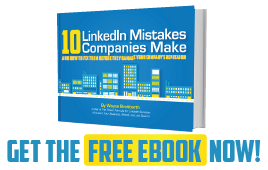 If you're thinking of getting training on LinkedIn, DO IT NOW! Wayne's presentation skills, insight and techniques are mandatory tools. Take the classes and refresh what you thought you knew. Read the books, they are not door stops! I would like to personally recommend Wayne and his beginner's class for LinkedIn. Wayne is a straightforward, engaging, and dynamic individual that you can truly TRUST. His main mission is to show you the power and in today's world -the NEED- to use LinkedIn. Using his straightforward approach, I have generated several new contacts, revived relationships from years back, and have strengthened several existing relationships. Thank you Wayne for helping me learn this PRICELESS business tool. Dynamic and insightful! Wayne provides great info. on how to make LinkedIn work for you in practical and efficient ways; not only is the information valuable but the presentation is energetic and truly enjoyable. Wayne gives an entertaining and powerful presentation. Whether you are looking to get your feet wet or get down to the nitty gritty Wayne's your guy. I have seen Wayne in action many times and still there is always some nugget of information to be uncovered. You cant go wrong - huge value not to be missed.